The Ross Development Trust together with the City of Edinburgh Council today announced the winner of the Ross Pavilion International Design Competition to be the team led by US-based design practice wHY. 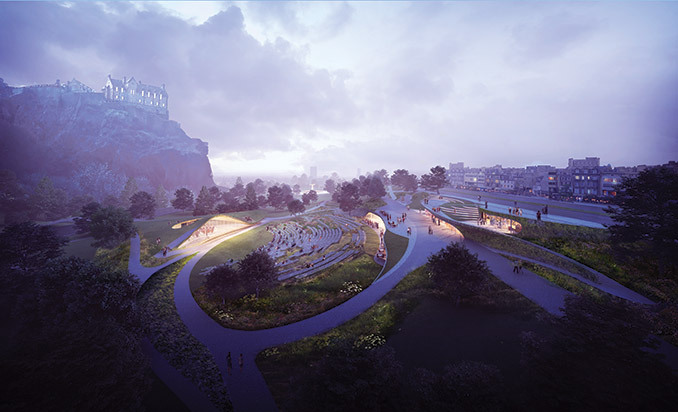 The five-month search for an outstanding team for the £25m Ross Pavilion and West Princes Street Gardens project attracted first-stage submissions from 125 teams (made up of 400 firms) from 22 different countries. 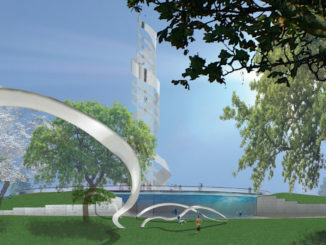 At the competition’s second stage, shortlisted teams produced concept designs for a new landmark Pavilion; a visitor centre with café; and improvements to the surrounding Gardens. The new Pavilion will provide a flexible platform for the imaginative arts and cultural programming that Edinburgh excels in, and allow visitors and residents to engage with a variety of events all year round. 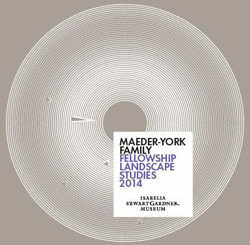 The competition jury met on 11 July to interview the seven teams shortlisted for this initiative, and unanimously selected wHY as the winner. Their team included Edinburgh-based design studio GRAS, Groves-Raines Architects, Arup, Studio Yann Kersalé, O Street, Stuco, Creative Concern, Noel Kingsbury, Atelier Ten and Lawrence Barth. Full details of the jury and winning team can be found in the Notes below. 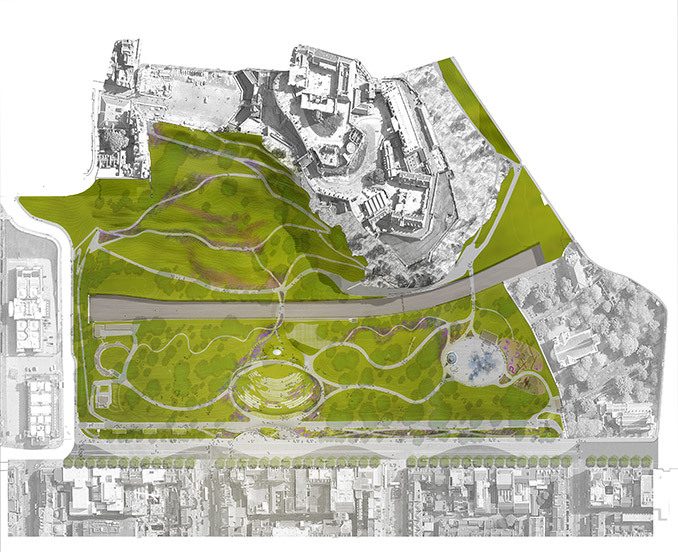 The jury praised the team’s concept design as ‘a beautiful and intensely appealing proposal that complemented, but did not compete with, the skyline of the City and the Castle.’ They liked the concept of the activated community space with a democratic spirit, potentially creating a new and welcoming focus for the City’s festivals while appreciating that the team’s design balanced this with a strong approach to the smaller, intimate spaces within the wider Gardens. 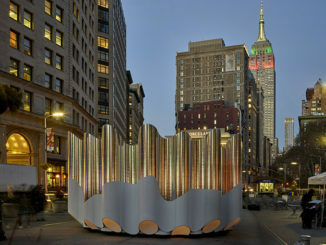 wHY is a collective of architects, landscape designers, makers and strategic thinkers, established in 2004 and with offices in New York and Los Angeles; the studio’s competition-winning entry was led by Founder and Creative Director Kulapat Yantrasast and Landscape Design Director Mark Thomann. 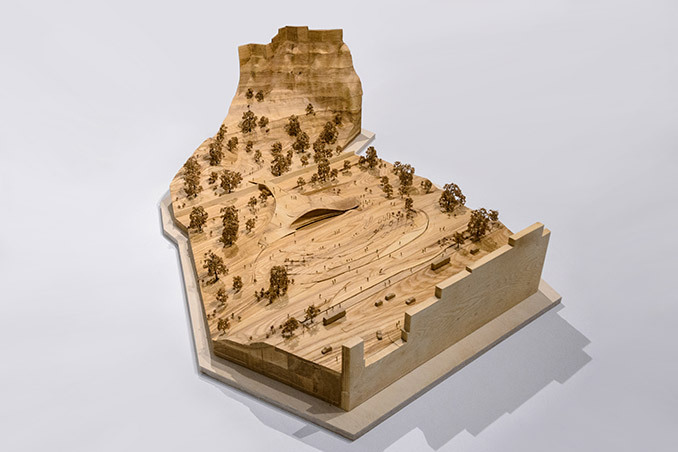 The other five teams were led by Adjaye Associates; Bjarke Ingels Group (BIG); Flanagan Lawrence; Page \ Park Architects, West 8 Landscape Architects and BuroHappold Engineering; and Reiulf Ramstad Arkitekter. The Ross Development Trust is working closely with the City of Edinburgh Council on this initiative. Key project stakeholders include Historic Environment Scotland, the Cockburn Association, the Old Town Community Council and Edinburgh World Heritage. 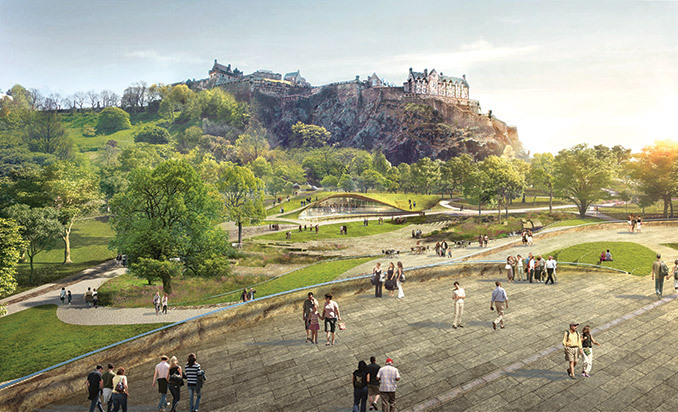 wHY will now work with the Trust, the Council and other stakeholders, and consult with the public, to take forward the project to revitalise this space, positioned just below Edinburgh Castle and adjoining Princes’ Street. Currently occupied by the Ross Bandstand, and described as a true ‘place for people’, it is both a refuge from daily city life and the focus for exhilarating celebrations, such as Hogmanay and the Edinburgh International Festival’s closing fireworks concert.